Cougar (top photo) and Milo (middle photo) are a bonded pair of 6-year-old brothers who are looking for a home where they can live out the rest of their days together! 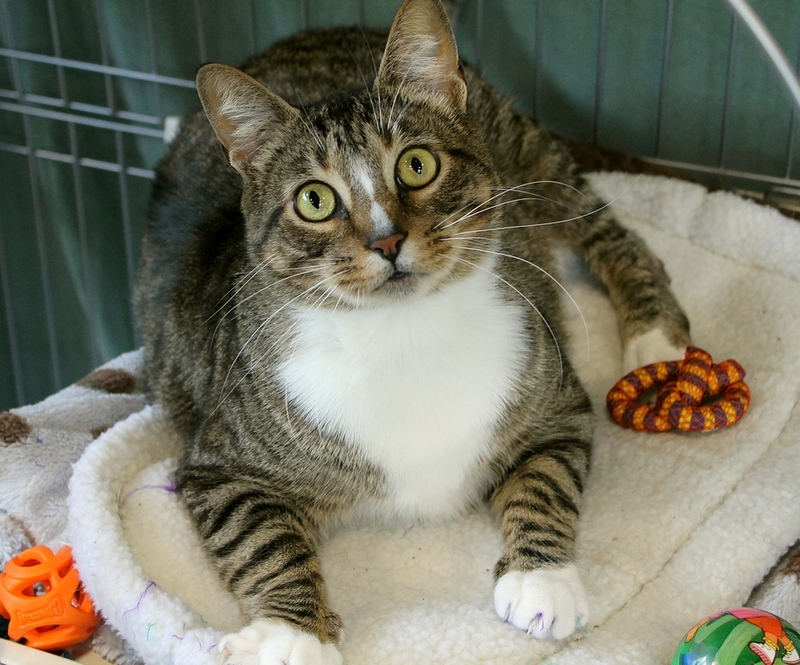 They are sweet and playful boys who really enjoy human company and seem to become fast friends with everyone they meet. 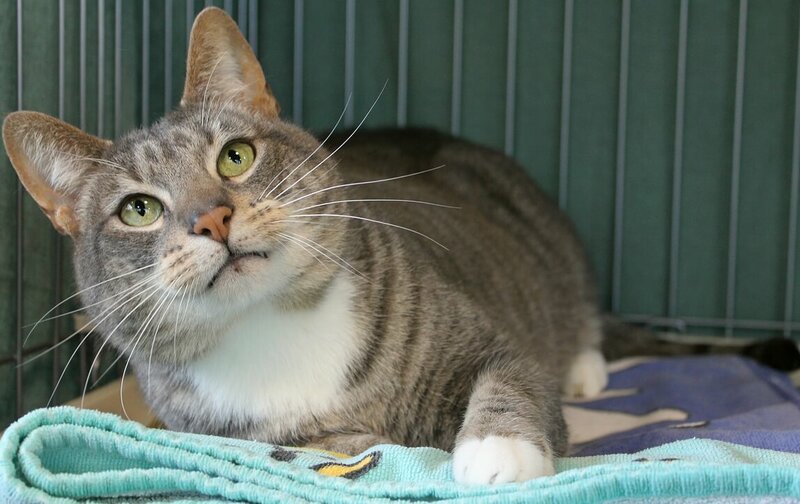 Milo was a bit shy when he first came in, but has quickly come out of his shell and has shown that he’s every bit as sweet and outgoing as his brother, Cougar. Both boys love their playtime and take nap time just as seriously — sometimes they cuddle up together, which is just adorable! Cougar has had a history of urinary tract infections but is currently doing well on a prescription urinary diet, which he will likely have to stay on for life. Since they are always together, Milo also eats the urinary food, but could potentially be fed a regular food if he was fed separately. Both boys love just about any food you put in front of them, so it makes their diet management a breeze! Cougar is also on an anti-anxiety medication just to get him through this current transitional period without the risk of any urinary problems, and he can likely be weaned off of this medication once he’s settled in his new home. Both boys are as personable as they are handsome, and it’s hard for anyone to walk by them without at least saying hello! We think you’ll feel the same! 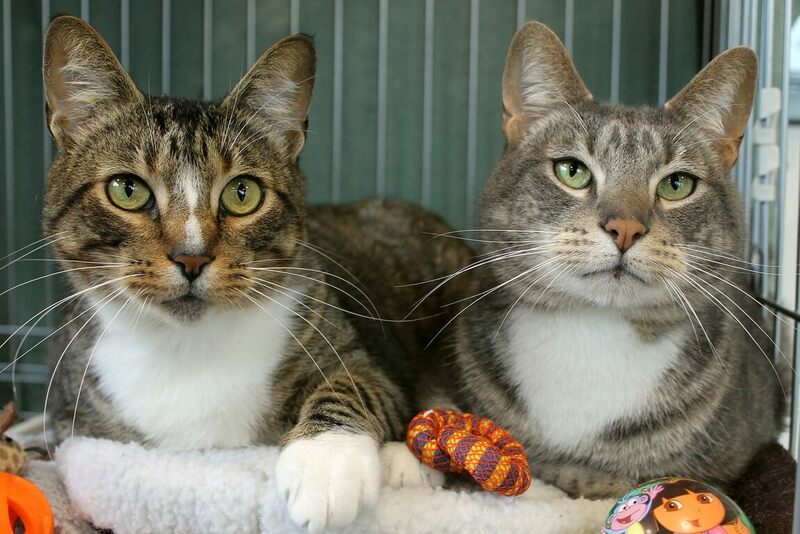 If you’re looking for a loving duo like these two, stop by Pixie today! They come to you fixed, vaccinated, and micro-chipped for a combined adoption fee of $180.